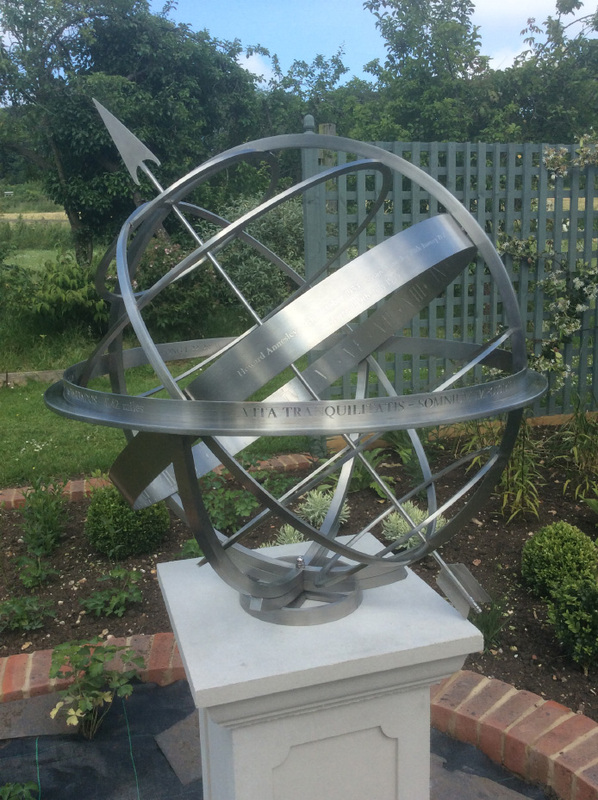 The Jupiter Armillary sundial is a complex design depicting the tropics and arctic circles, the equator and horizon bands. It can be made in various sizes in copper, stainless steel, brass and bronze. It made in marine grade stainless steel ( spec 316) which is the best quality for outdoor use. Guaranteed not to rust it will need little maintenance other than occasional washing with soap and water. Please inquire for a quotation in other sizes.